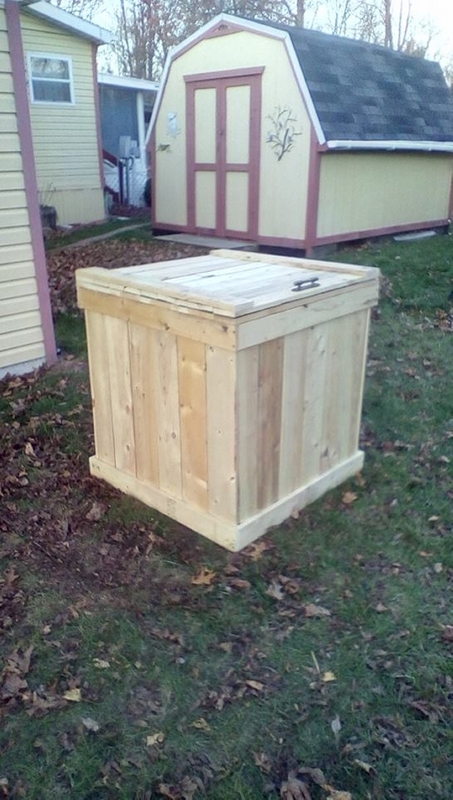 What exactly could be expected from an outdoor pallets storage box? Well, being precise, it should be pretty big, it should be spacious, and as we plan to place it outdoors, it should have the material that can tolerate all the extreme weather conditions outdoor. So we would have to plan and design it accordingly. A pallet storage is also a mandatory article for outdoors as you have a lot of things that you can not just put on the ground or in open air. So we have a very beautiful solution of your needs, we would make an outdoor pallets storage box. We have a lot of outdoor spaces like our green landscape, a lawn and a house patio. We also have to equip them with all essential furniture items and other accessories. 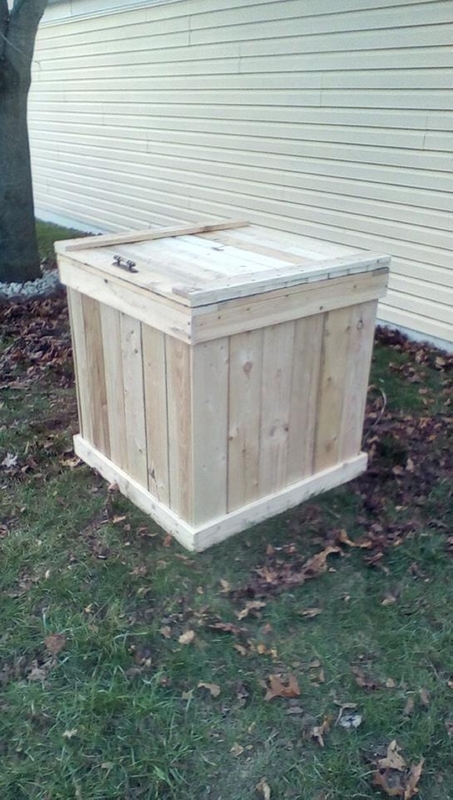 This pallets storage box would be a primary accessory for outdoor. And as we said that we have plans to use it specifically outdoor, so we must not get worried while making the pallets selection. 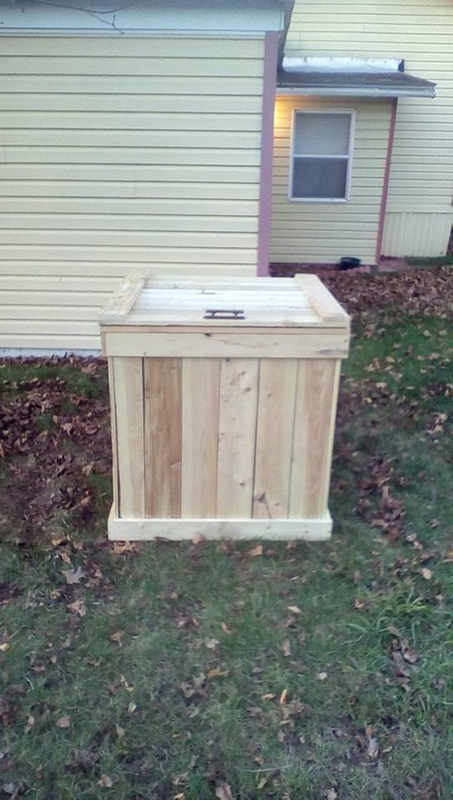 We can use any deteriorated and raw pallets in making this outdoor pallets storage box. And the moment you are done with it, place anything you desire in this storage box. Having a brief look on this pallet storage box we see despite of no stipulation, some of the finest pallet planks are used in making this storage box. May be just to maintain the outer view. Very accurately cut to size wooden pallet planks are used in making the basic structure of the storage box. While a fit to size closing door is also used on the mouth of this storage box. And a beautiful metallic handle is installed on the opening corner of the pallet storage box. Place it outdoor and use it the way you want.